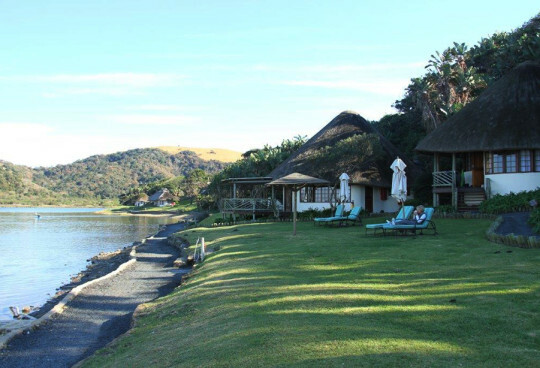 We traveled up to St Ives from Durban on a typical warm November day in sunny KwaZulu-Natal. Only an hour and a half from Durban it is quite easily a day trip but we decided a night in the Midlands would make for a nice if not short break. We arrived at St Ives just before lunch as we had arranged an early check-in. Sadly they were not ready for us so we made our way over the road to Piggly Wiggly for a bit of retail therapy and some lunch. By the time we returned the room was ready and really was worth the wait. The room was fantastic, very clean and spacious. It offered everything needed for a self catering weekend, although that wasn’t our intention. It was not at all cluttered, boasting a king size bed, large bathroom, little veranda and a fire place. The fire place would prove to be really handy a bit later. 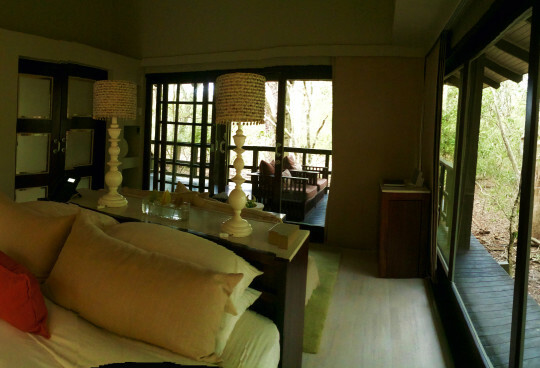 Really this has got to be one of the nicest rooms we have seen in the KZN Midlands - St Ives you get full thumbs up from our team. 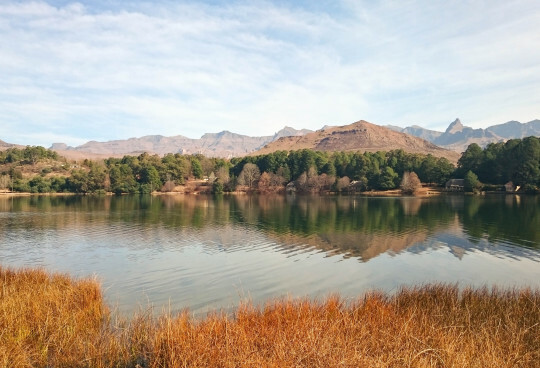 After we had checked in and had a short rest we decided to do some exploring and eventually found ourselves driving towards Mooi River on the R103. I must at this point say this the stretch of road from Midmar Dam to Mooi River is absolutely breathtaking and stunningly beautiful, and well worth the drive. On the way back we decided to take the N3 as we were keen to get back for what promised to be a delicious dinner. As we drove down towards Lions River the weather suddenly changed. One minute we were driving in afternoon sunshine and the next we had our hazard lights on as thick mist approached. There is a lesson here, you can never underestimate the weather in the KZN interior, and always make sure you pack some warm clothes no matter how hot you think it’s going to be. Upon arriving back at St Ives, we headed for the restaurant near the reception. The Sharks were playing and the restaurant was full of enthusiastic supporters. The manager had reserved a table for us near the warm fireplace which was a really nice touch. We ordered lamb curry which arrived in a little potjie pot and did not disappoint. We enjoyed our warm hearty dinner watching the rain lashing down outside. Breakfast the next morning was served in a buffet style with all the usual full English and continental breakfast components. We sat outside on a covered veranda enjoying a cup of filter coffee and our breakfast watching the misty rain drizzle over the lake - a really beautiful location for a restaurant and the perfect spot to enjoy your breakfast. In conclusion we really enjoyed our short stay at St Ives. Despite our late check-in the staff were really attentive and friendly and everything was really neat and clean. The food was great and the location close to the start of the Midlands Meander is perfect. The view out over the lake from the restaurant is the cherry on the cake. So will we be back to St Ives? We most certainly will.